AHLEI – Established in 1953, the American Hotel & Lodging Educational Institute (AHLEI), is one of the finest nonprofit member benefits of the American Hotel & Lodging Association (AH&LA). The Government of India has set itself the mission of making India the skill capital of the world. Ministry of Skill Development & Entrepreneurship has been tasked with the vision of creating a skilled India. As India is a country of youths and if we want global companies to have their set-up in India, we would need the skilled workforce. This skilled workforce would have the employment opportunity with the help of their skills obtained from short term skill courses. Skill India Mission is aided in these initiatives by its functional arms – National Skill Development Agency (NSDA), National Skill Development Corporation (NSDC), National Skill Development Fund (NSDF) and 39 Sector Skill Councils (SSCs) as well as 352 training partners registered with NSDC. The number of SSCs and training partners are increasing day by day. These are purely skill development programs with the focus on imparting technical skills in the students. These skills are necessary as per the industry requirements. Upgrade skill at International standards through significant industry involvement. Enhance, support and coordinate private sector initiatives for Skill development through PPP. Tourism and Hospitality Sector Skill Council (THSC) is one of the 39 sector skill councils formed under NSDC. THSC’s main task is to skill youth in the Tourism and Hospitality sector. AQMCS Pvt. Ltd. is in the business of independent certification and inspection with its main objective to safeguard life, property and environment through quality assurance and total quality management. AQMCS Pvt. Ltd. has been providing their value added certification and inspection services to the Government, Public and Private Sector Organizations. It is a professional organization backed by devoted, highly qualified and experienced personnel. We provide a wide spectrum of services in an efficient and cost effective manner. It is an autonomous institution under Ministry of HRD, Govt. of India. Earlier known as “National Open School”. It was established in 1989 to provide education in the remote areas to increase literacy and aimed forward for flexible learning. NIOS launched first vocational courses in 1997. 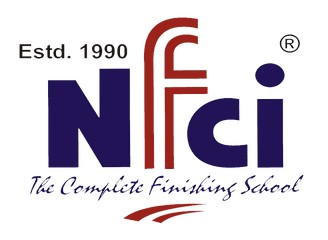 NIOS is national board that administers examinations for secondary and senior secondary of open school similar to CBSE and CISCE to increase Literacy.